Hung for full circle ringing in an extended and much altered wooden frame with wooden headstocks and plain bearings. The fittings are much damaged and the bells unringable. The bells had been rehung on new bearings, reusing the old fittings in 1929. Originally the tower had a spire, which became unsafe in 1950 due, it is said, to mining subsidence. This was removed in the late 1970s. Prior to 1863 there was a ring of 3 bells provided by the Whitechapel foundry in 1845. Complete with frame and fittings. This frame was extended in 1863 to accommodate 5 bells and further extended in 1864 for the new treble. Prior to 1845 there was an older ring of 3 bells, which were scrapped. Nothing is known about these bells or their origins. The church was erected in 1861 so where these bells were located is a mystery. George Dawson records that he visited St Luke’s in Feb 1967 and in Dec 1993. The tower is to the eastern end of the church. The spire was removed in 1973. 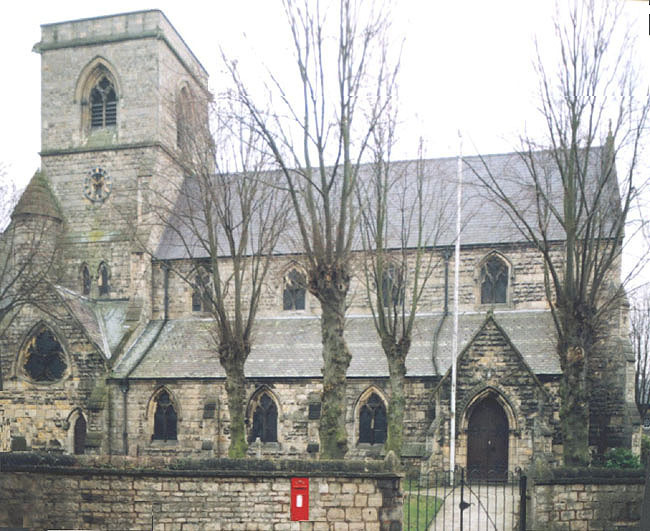 Prior to 1861 the earlier sets of bells would have hung in the Chapel of Ease (now the village hall) adjacent to St Luke’s. The Lord of the Manor, John Hewitt, erected this in 1809. It had an ornate octagonal bell tower surmounted with a cupola after the style of Christ Church, Oxford. The tower was removed in 1884, the building at this time being the village school.